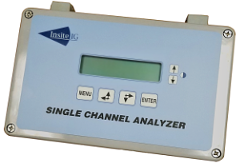 InsiteIG offers a wide variety of Optical Dissolved Oxygen monitoring systems. Everything from portable meters to multi-sensor controllers. With over 15 years experience manufacturing Optical DO sensors, InsiteIG has a proven track record of supplying reliable, cost effective instrumentation to the water and wastewater industry. We are a leader in aeration basin monitoring and control. - 5 year DO sensor warranty.